$2.35 is not bad for a whole island -- especially if that island is Maui, one of the Hawaiian islands in the beautiful and vast Pacific Ocean. I'd been hoarding this island in my chocolate vault -- so I could bring it out and enjoy it, in the depths of the California winter. Don't laugh, we really do have winter here. 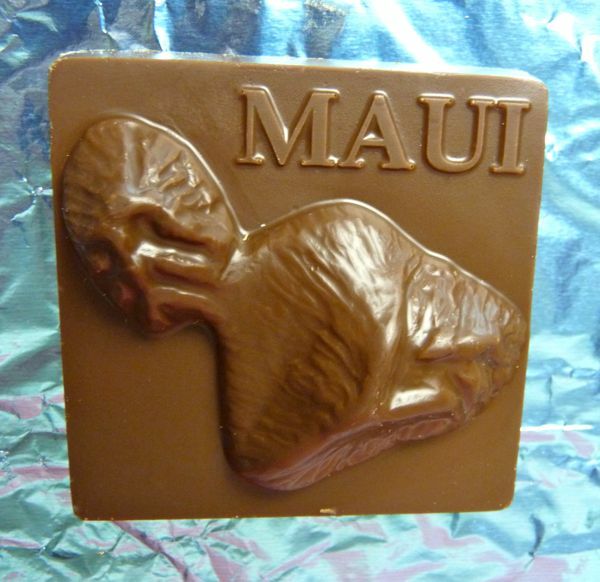 Biting into his molded, milk chocolate island from Maui Specialty Chocolates (Kahului, HI) yielded a hard snap. The texture was smooth, and not bad for a molded chocolate. Aloha. 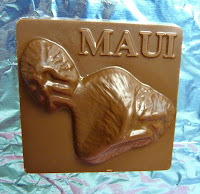 Today was Day #4 of Chocolate and Hawaii/Islands Theme Week.